Service at Jim Cogdill Dodge Jeep. 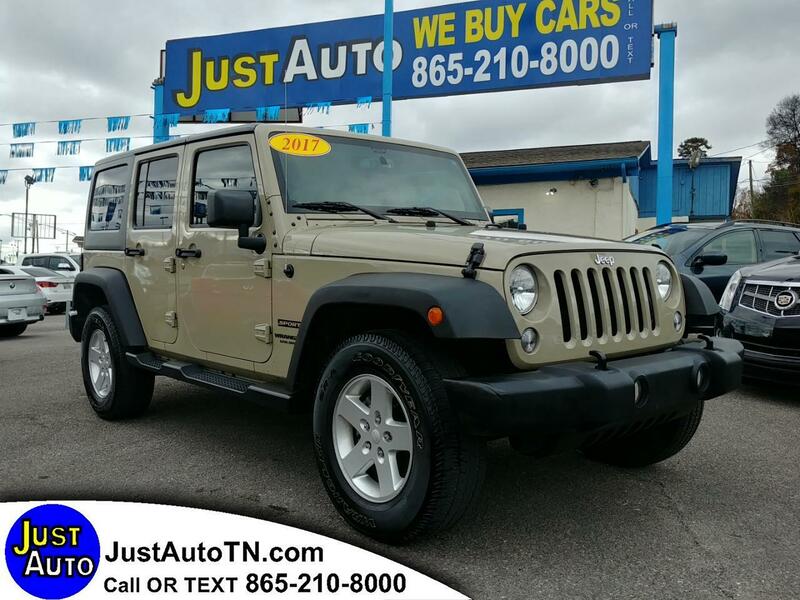 4WD/AWD, ABS Brakes, Air Conditioning, AM/FM Stereo, Auxiliary Audio Input, Bluetooth, CD Audio, Cloth Seats, Cruise Control, Hard Top, Manual Transmission, Power Locks, Power Mirrors, Power Windows, Satellite Radio Ready, Soft Top, Tow Hitch, Traction Control. Call or text us at 865-210-8000 . We Finance all types of credit.